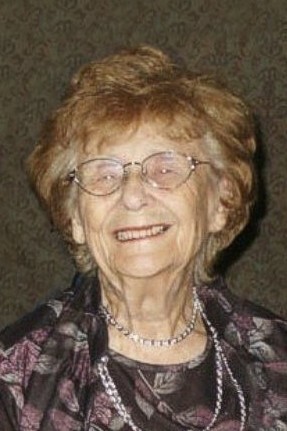 Dr. Ruby Larson was transferred to the present-day Agriculture and Agri-Food Canada's Lethbridge Research Centre from Swift Current in 1948. There she worked on cytogenetics of wheat until she retired in 1979. She is a charter member and honorary member of the Entomological Society of Alberta. In her spare time, she was dedicated to science education. She was a founding member of the Lethbridge Science Fair, and also created the Lethbridge Science Club. Every Saturday for over 20 years, she hosted this group of young enthusiasts in her basement. Graduates of her club include Dr. Ken Richards (Ph.D. in Entomology), Dr. Joe Shorthouse (Ph.D. in Entomology), Dr. J. Haberman (M.D. ), Dr. Dave Larson (Ph.D. in Entomology), and Dr. Carol Brosgart (M.D.). Although her professional accomplishments have been internationally recognized, it is for her contributions to encourage amateur entomology that she is awarded the Carr Award (and the ESC Criddle Award). John and Bertha Carr jointly received the Award. 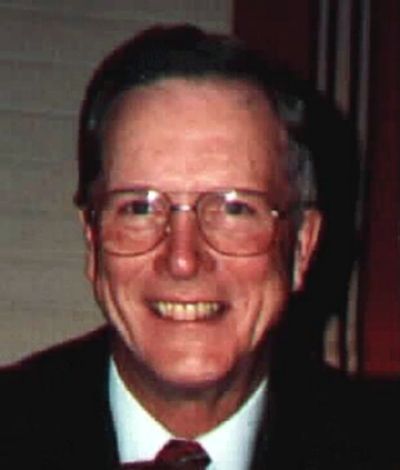 John Carr is the son of Frederick Stephen Carr, the namesake of the Frederick S. Carr Award. After donating his father's insect collection to the University of Alberta in 1939, John and his wife Bertha continued on in his footsteps, and began amassing their own Alberta beetle collection. John is an oilfield geologist by training, and Bertha is a homemaker; their insect collecting has been strictly an unpaid passion. Over the years they have become noted authorities on our local beetle fauna. They have frequently gone on collecting trips with other coleopterists, and they have always been happy to entertain enquiries and visits from young enthusiasts. They have contributed significantly to the training of coleopterists, and to entomology in general in Alberta. In 2001 their beetle collection, equal in size to the F.S. Carr collection at approximately 100,000 specimens, was donated to the Canadian National Collection in Ottawa. John Acorn received the Carr Award for inspiring interest in amateur entomology and public awareness of entomology across Alberta. 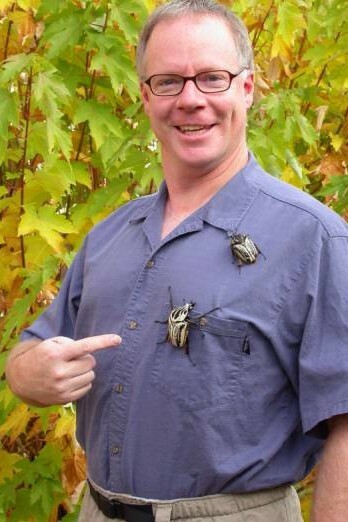 John has an international reputation as a science writer, speaker and television entertainer, and his long running television show, "Acorn the Nature Nut", brought entomology and natural history in Alberta to an wide audience throughout the world. 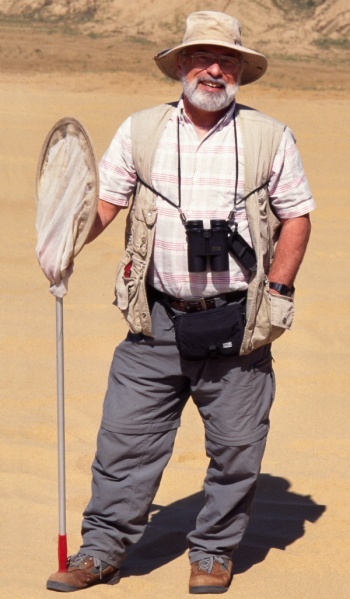 He has had a major impact on amateur entomology in Alberta through his books, including "Butterflies of Alberta", "Bugs of Alberta", and "Tiger Beetles of Alberta", as well as numerous other books on insects and natural history. John has also given his time generously for the promotion of entomology. 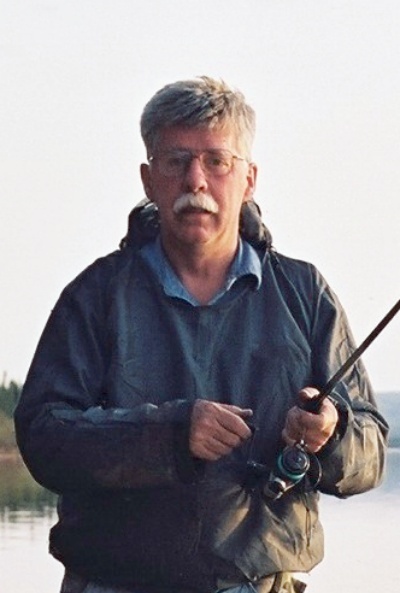 He was the first to start organized public butterfly counts in Alberta, and has been the feature speaker or organizer for an extensive array of public events in Alberta and elsewhere. Throughout these activities, John Acorn's commitment to amateur entomology in Alberta has been deep and unwavering. Donald James Buckle received the Carr Award in recognition of his contributions to spider taxonomy and identification, and advancement of science through assistance provided to graduate students and scientists worldwide. Don was born in January 1947 in Preeceville, Saskatchewan, and grew up in Lady Lake. Don started collecting spiders in 1961. In 1963, between Grades 10 and 11, Don got a summer job with arachnologists Albert Turnbull and Charles Dondale in Bellville, Ontario. While completing Grade 12, he authored his first scientific publication on spiders. To date, Don has contributed to 26 publications, and presently is working on several other projects, including preparation of the linyphid section of "Spiders of North America" and an annotated checklist of the spiders of Alberta and Saskatchewan. Because of Don's keen ability to detect differences within species groups, Don has had two spiders named after him. In 1972, Norman Platnick who was then at the American Museum of Natural History described Ebo bucklei. 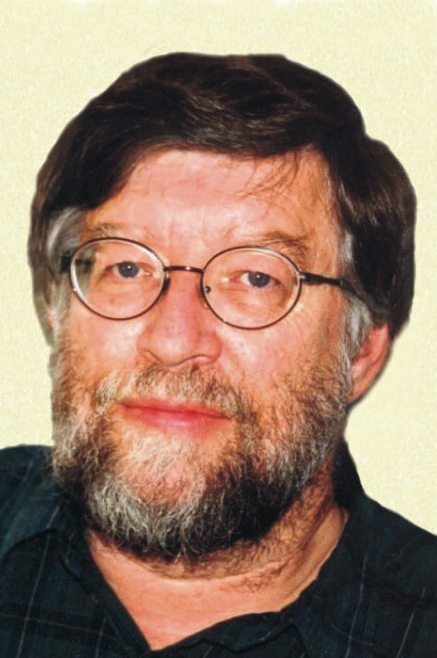 In 1975, Torbjörn Kroensted of the Swedish Museum of Natural History described Pardosa bucklei. Don is a "professional amateur". He does not have an academic degree, but he has the knowledge and abilities of any respected biologist. For his many contributions, Don is well deserving of the Carr Award. Terry Thormin refers to himself as the Bug Room Supervisor at the Royal Alberta Museum, even though his official title is Acting Curator of Invertebrate Zoology. His interest in bugs dates back to his early childhood when a flight of Monarch Butterflies through the family yard sparked an interest in learning more about insects and starting his first insect collection. As the Bug Room Supervisor, Terry looks after the welfare of the live bugs and helps develop educational programs and special events for visitors to the museum. One of his favorite jobs is going to schools to present programs on insects and spiders. He also spends considerable time answering questions about bugs from the general public and has developed a large section of the museum's web site that does the same thing. Terry's photos grace this web site, and he has photographed over 700 species of Alberta insects and spiders. Terry was also a key member of the team that created the museum's new habitat gallery, Wild Alberta. Terry has been with the Provincial Museum since 1978 and has run the Bug Room, which he developed, since 1992. Gary Anweiler has developed his enthusiasm for Lepidoptera, to become one of the premier experts on Noctuids in North America. This has all been done on his own time, after his regular working hours. He has always shared his time freely, helping many others and spreading his infectious enthusiasm. He has made a huge contribution to entomology in Alberta. 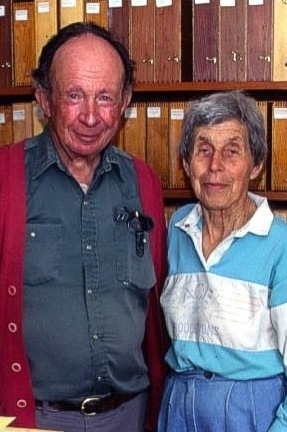 He was instrumental in bringing together local lepidopterists, at first informally, but later as the Alberta Lepidopterists' Guild, which incorporated as a society in December 1999. He was the founding president and currently serves as Secretary/Treasurer. Considered an unofficial "goodwill ambassador" for Alberta Lepidopterology, Gary is always willing to host a social gathering, or lead a collecting trip when a visiting collector comes through town. He has donated countless hours of his time to the Strickland Museum at the University of Alberta, as well as to other institutions. Currently, Gary is finishing up a revision of the genus Panthea of North America, is involved in several biological surveys of special places and protected areas, and is responsible for the Noctuoidea section of a comprehensive checklist of the Lepidoptera of Alberta in preparation. Charles Durham Bird was born on July 7, 1932, in Oklahoma. His father was an entomologist who worked with Norman Criddle, and his mother was a botanist, so he was brought up in an environment very rich in the theme of natural history. As a child, Charley spend many days at the Entomology lab at Aweme, where his father worked. As a young man, Charley spent three summers working on the Northern Insect Survey (including a year with Alexander Klots) and two years in forest entomology in Manitoba. Charley obtained a B.Sc. from the University of Manitoba, and a M.Sc. and Ph.D. in botany from Oklahoma State University. In 1962 he took a teaching position in botany at the University of Calgary. Although employed as a botanist, Charley always maintained a broad interest in all things biological. He retired from the university in 1979 to become a rancher, which he pursued full-time until his final retirement in 1992. Then, rather than adopting a life of leisure, he continued to pursue his biological interests with a passion. Because of his vast contribution to Alberta Entomology, it is the pleasure for the Entomological Society of Alberta to award to Charley Bird the F.S. Carr Award.has preparation. Jan Scott, of Medicine Hat, is an amateur in the purest sense; she does not have formal training in entomology, and is not employed in entomology, but pursues it purely out of personal interest. She is particularly interested in caterpillars, and has reared many species to adults. Jan has become known around town as "the caterpillar lady", and has put in many volunteer hours with the Police Point Park Interpretive Centre in Medicine Hat. Over the past few years, she has reached out to various entomologists in the province to feed her curiosity and learn more about insects. As she has become aware of learning resources, she has expanded her knowledge on the insect fauna in her part of Alberta. 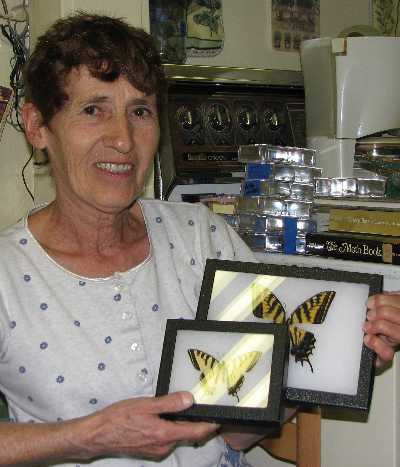 Now that she has become an expert in her own right, Jan freely shares that expertise with others in southeastern Alberta, and she has contributed many new and unusual records of Alberta insects to other researchers. She is an active member of the Alberta Lepidopterists' Guild. Prior to October 30, 2004, this Award was called the "Carr Award".